Most of you will have tried or at least heard of TheBalm Loumanizers. 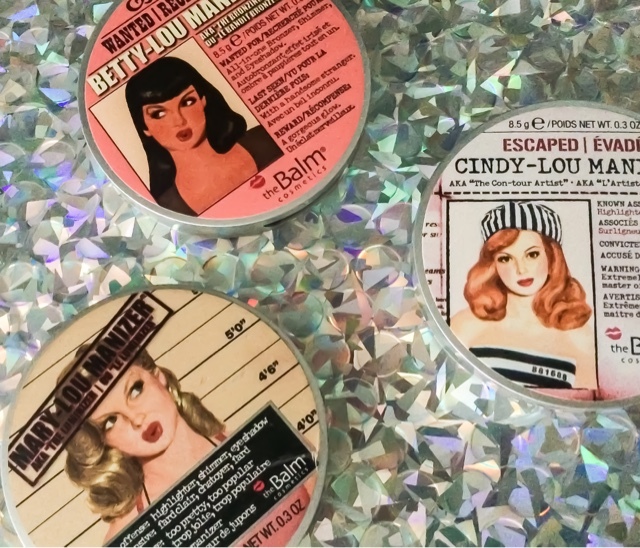 The Balm Loumanizer's are some of the most pigmented highlighters on the market. These highlights are sold on BeautySpin for a fraction of the price. This powder is a champagne highlight with finely milled gold shimmer running throughout it which looks stunning when the light catches it! When I was sent this product I instantly fell in love with it. Not only am I obsessed with it, but also many of my friends. You can see from the swatch, pictured above, that this highlighter is a peachy-pink highlighter with gold reflex. Whilst I love this shade, it does not work as a highlighter for my skin tone. I think this highlighter would be gorgeous on tanned skin. HOWEVER, this blush looks really pretty on fair complexions if you lightly apply it to the cheeks as a blush/highlight combo!! As pictured above, you can see how bronze toned this highlight is so it would look absolutely amazing on anyone with a deeper complexion, the gold reflects throughout this powder will look absolutely amazing! I personally can only use this product as a bronzer. I very lightly enjoy dusting this over the temples to add a slight bronze glow - and bam I'm Jlo! Overall, I would and do recommend these to everyone. Whilst these can be found at the drugstore, the do retail for £17.50 which I personally find really reasonable for the quality however, you can purchase these from the BeautySpin website for a discounted price! The MaryLou is only £12 on this website which is a bargain! I think Mary would be best for my skin type but I could definitely use Cindy when I'm tanned. Great comparison! Yesss I've been oogling this set! I haven't actually tried any of the Manizer's before (which I feel like is some sort of beauty blogger crime) so this set just looks perfect. I love Mary-Lou and really night to try Cindy-Lou too! So pretty! I love all three but I really think I need Mary lou in my life! I'm absolutely obsessed with highlight! I enjoyed your review but I always get Cindy (the lightest shade) in my Birchbox but the two deeper shades look like a fit for my medium/carmel tone for me! Mary-Lou is without a doubt my favourite highlighter, ever! I haven't tried the other two but I like the look of Cindy-Lou! Mary Lou, you are always my fab girl. I like to follow you. Thanks for sharing with us. Counselling is problem solving. A therapist can help someone increase their self-knowledge, counselling sudbury emotional acceptance and growth, as well as the optimal development. I put off buying the MaryLou manizer for so long because of the price - but it's the best highlighter I've found! No chunky glitter, and a gorgeous glow each time. I don't think the other two would suit my skin tone too well. They'r gorgeous for deeper tones though!